1.Open your Browser (Internet Explorer, Mozilla Firefox, Chrome, etc.) & delete any default text or url in its address bar & type only the IP : 192.168.1.1 and hit enter. A dialog box similar to the one shown here would pop-up. Password : admin & Log in. 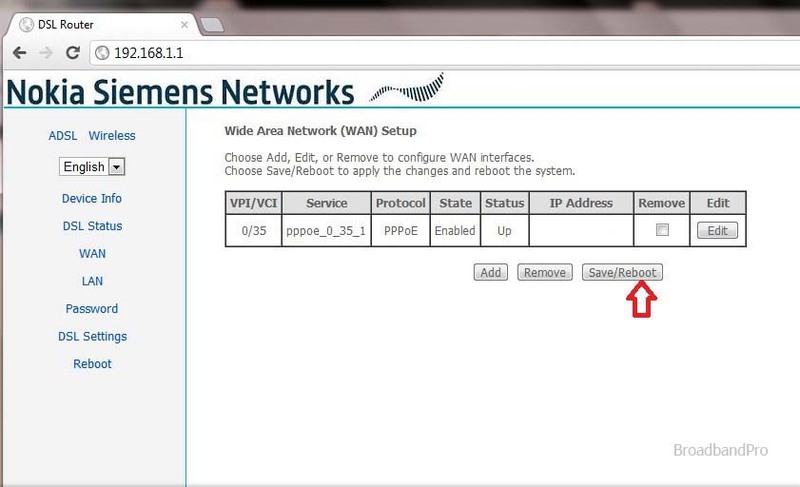 2.After logging in successfully, click on WAN in the left navigation menu.On the right a WAN set up table would show up as shown below.Check all the checkboxes under Remove column & click the Remove button.This will delete all default set-ups.Then click on Add button. 3.On clicking Add button, ATM PVC Configuration page will open where VPI and VCI values are required to be entered.These are ISP specific DSL Broadband PVC settings. 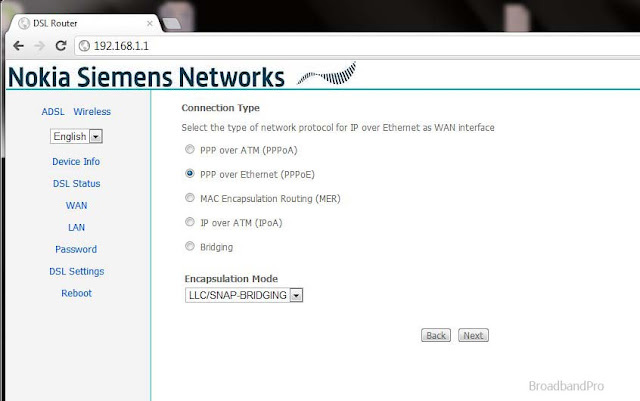 (e.g, for BSNL, VPI=0, VCI=35).Click on Next..
Encapsulation Mode : LLC/SNAP BRIDGING. Click Next..
5.Enter PPP Username : Your Broadband Username as provided by your ISP. 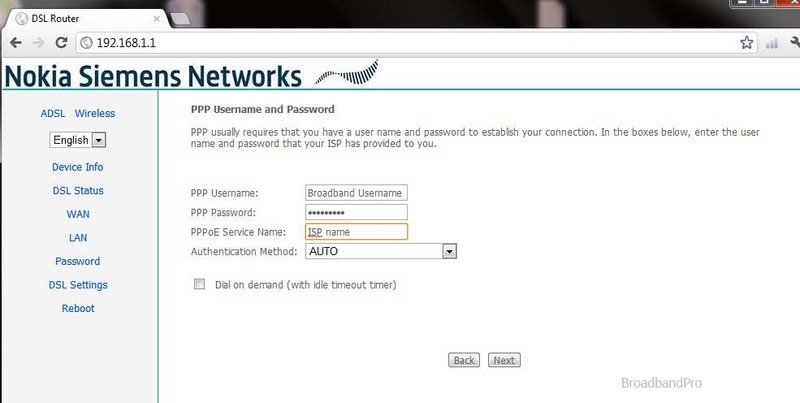 PPP Password : Your Broadband password as provided by your ISP. Authentication Mode : AUTO and click Next ..
6. Now ensure Enable WAN Service is checked. 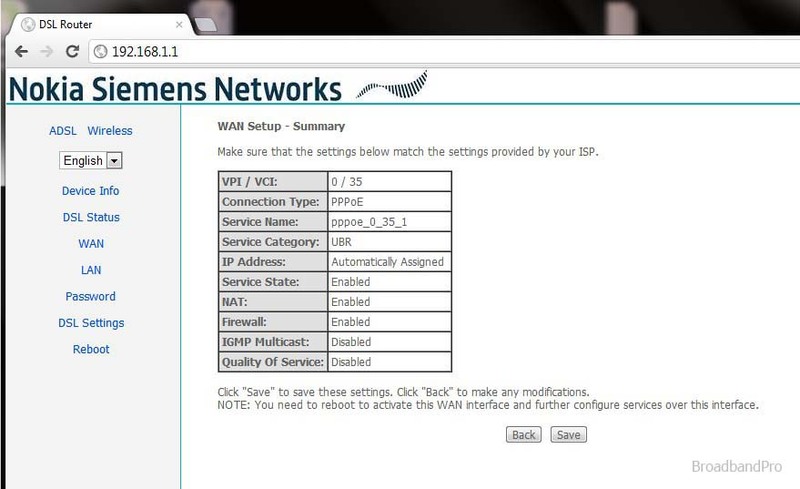 Click Next ..
7.Check whether the WAN set up summary looks as under and click on Save. 8. 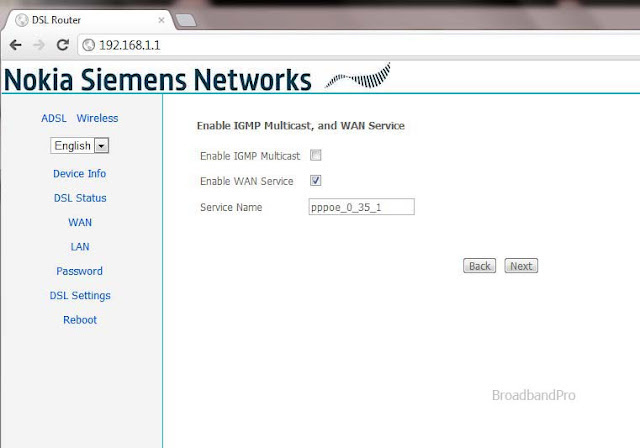 Then you would be directed to the WAN set up page where you can see the Set up that you have just created. 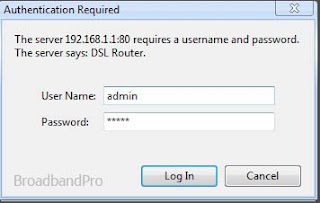 Click on Save/Reboot.The router will then save the current settings & reboot with it and once it is complete you should be able to connect to the internet through LAN. 9. To log in to the modem follow step 1 & click on Wireless link in the left navigation menu.Now click on Basic. Enter Your Desired Wireless or Wifi Network Name in SSID field and click on Save/Apply. WPA Pre-Shared Key : Your Preferred wifi or wireless network password. 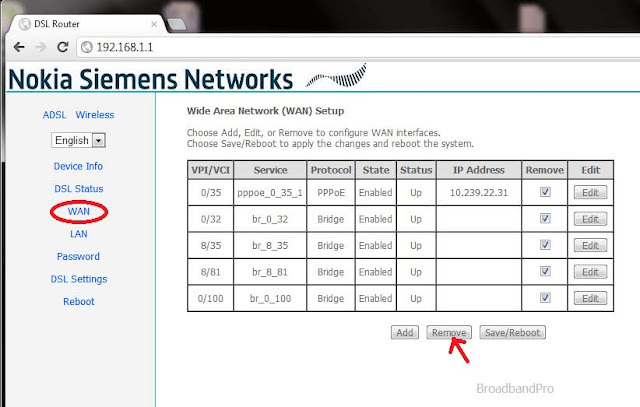 Now click on ADSL in the left navigation menu & follow step 8 to save current configuration & reboot the modem. Your always-on Broadband Wireless Access Point is now ready ! !